Atlas Homewares was launched in 1994 by Adrienne Morea. She is a notable designer, a guest on HGTV's House Hunters, as well as a go-to consultant to a host of celebrity designers including Candice Olson. Adrienne Morea is also the recipient of the coveted Ernst and Young Entrepreneur Of The Year, and a Stevie Award. As CEO and Creative Director of Atlas Homewares, Adrienne Morea knew well how to connect with consumers seeking to add style to their homes. She was first inspired to design hardware when looking to dress up her own very first apartment. Humble though it was, she knew she could create some spectacular pieces to transform her décor from bland to bling. As a result, she incorporated what she had learned from her jewelry design business to create a new company she named "Atlas Homewares", which featured, as she states, "jewelry for the home". Like fashion, Atlas Homewares styles are ever-changing and ever-evolving. Each collection pays homage to a specific design motif, whether it be minimalist, classic, retro or futuristic. Atlas offers something for everyone from transitional to contemporary to eclectic. Atlas Homewares inspires homeowners daily and many of the collections do not only complete the look, but lead the design of the entire project. Atlas Homewares has merged with Top Knobs and continues to provide excellent collections of cabinet hardware, bath hardware and accessories. The Alaire Drawer Pull in Brushed Nickel (A506-BRN) is part of the Atlas Homewares Alaire Collection.. The Alaire Drawer Pull in Polished Chrome (A506-CH) is part of the Atlas Homewares Alaire Collection.. The Alaire Drawer Pull in Brushed Nickel (A501-BRN) is part of the Atlas Homewares Alaire Collection.. The Alaire Drawer Pull in Polished Chrome (A501-CH) is part of the Atlas Homewares Alaire Collection.. The Alaire Drawer Pull in Brushed Nickel (A502-BRN) is part of the Atlas Homewares Alaire Collection.. 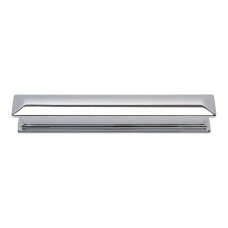 The Alaire Drawer Pull in Polished Chrome (A502-CH) is part of the Atlas Homewares Alaire Collection.. The Alaire Drawer Pull in Brushed Nickel (A503-BRN) is part of the Atlas Homewares Alaire Collection.. The Alaire Drawer Pull in Polished Chrome (A503-CH) is part of the Atlas Homewares Alaire Collection.. 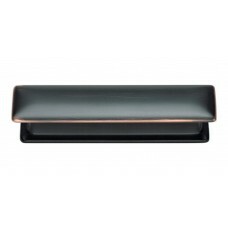 The Alaire Drawer Pull in Brushed Nickel (A504-BRN) is part of the Atlas Homewares Alaire Collection.. 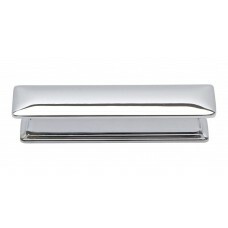 The Alaire Drawer Pull in Polished Chrome (A504-CH) is part of the Atlas Homewares Alaire Collection.. The Alaire Drawer Pull in Brushed Nickel (A505-BRN) is part of the Atlas Homewares Alaire Collection.. The Alaire Drawer Pull in Polished Chrome (A505-CH) is part of the Atlas Homewares Alaire Collection..